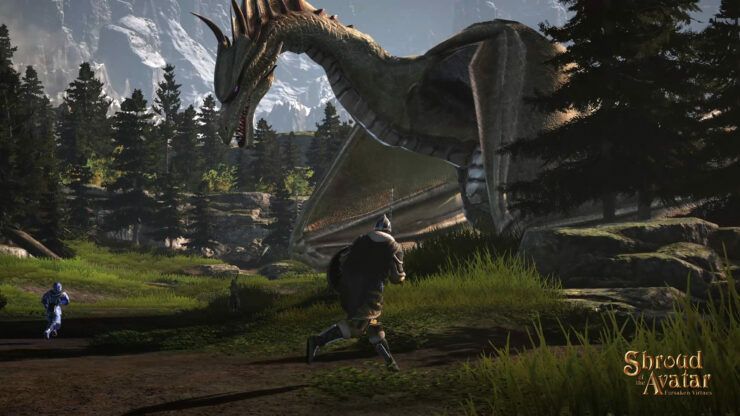 Shroud of the Avatar, the multiplayer fantasy RPG developed by Richard Garriott’s Portalarium studio, officially launches today after almost three years and a half of Steam Early Access. The game was originally funded via Kickstarter in April 2013 with $1,919,275 in pledges, but the crowdfunding program has continued on Shroud of the Avatar’s official website and has raised more than $13 million to this date. It’s exciting to have reached this major milestone. Our fans and backers have been extremely patient and incredibly helpful with us every step of the way of our journey. With Shroud, I wanted to go back to my roots of game design. We wanted to create a rich story and also bring back a sandbox style of play… a style that’s immersive and interactive. We have focused on polishing performance and the new user experience, as well as a few surprises like a new map that was triggered by a meteor crash. After we launch, we’ll continue to roll out regular monthly content releases and continue to collaborate with our players to improve the gameplay. The second quarter will include new features like Castle Defense Scenarios and Looking for Group, as well as new content including new scenes, new creatures, and new quests. Shroud of the Avatar’s feature set boasts player-driven economy and crafting, a classless progression system where players can specialize their avatar however they want, and a storyline written in collaboration with author Tracy Hickman (Dragonlance). The game can be played offline in a standalone single-player mode, or online in solo or co-op mode. Pricing is $39.99/€36.99/£30.99, though there’s a free trial available for download.